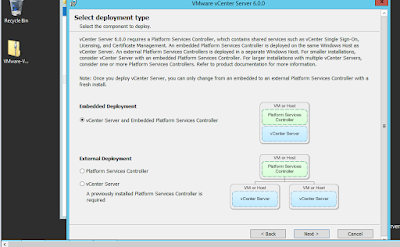 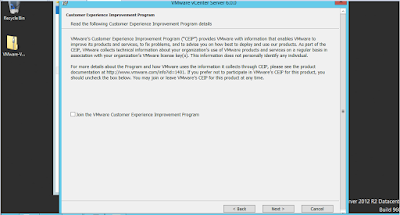 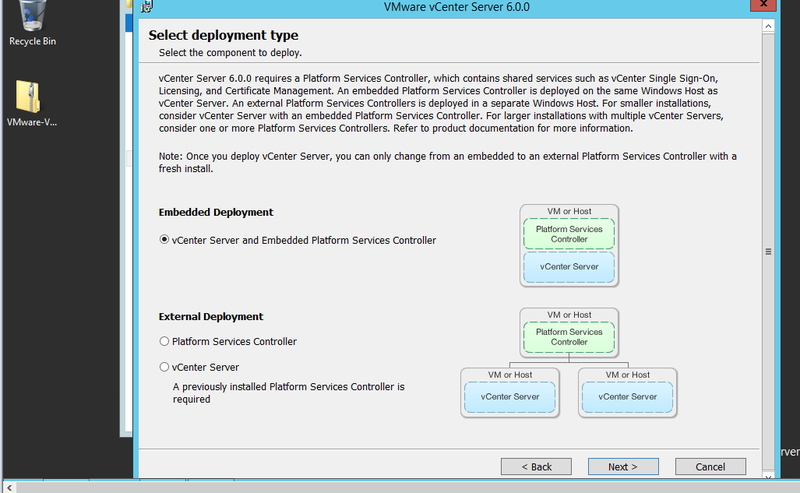 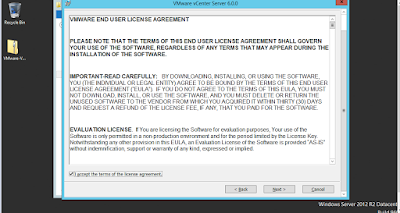 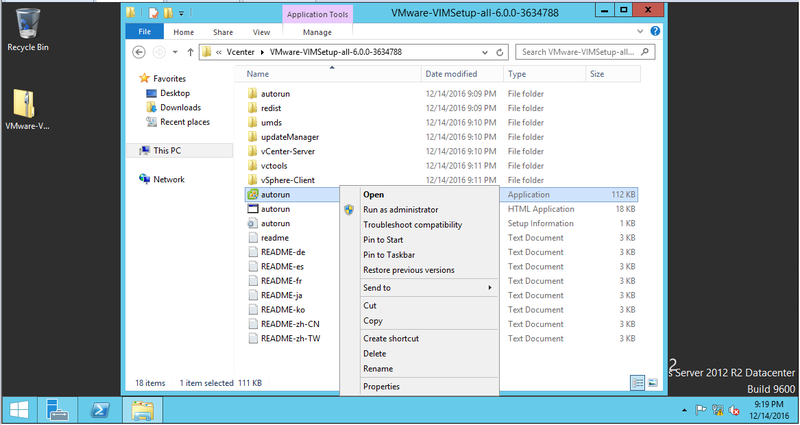 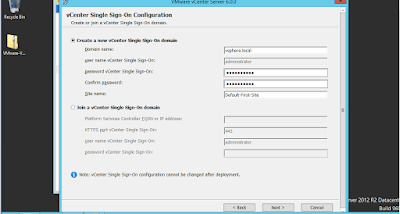 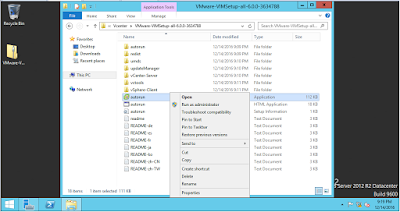 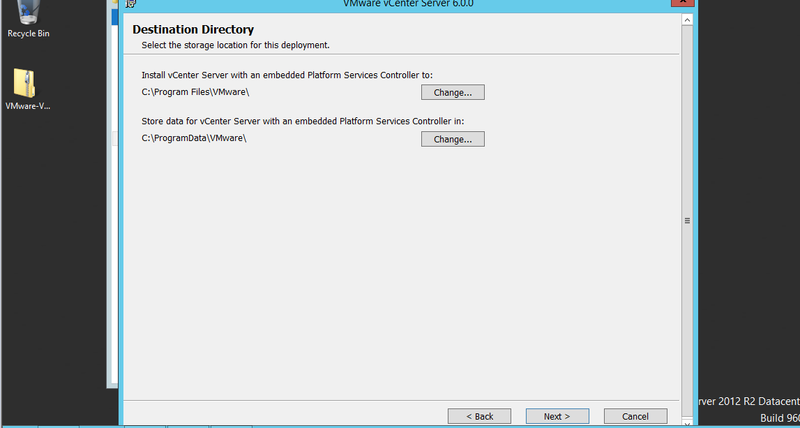 Or, How to install vCenter Server 6.0 on windows server 2012 R2? 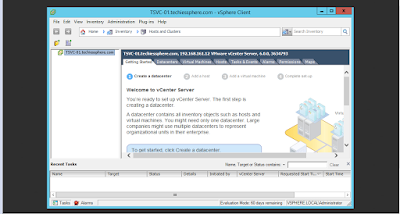 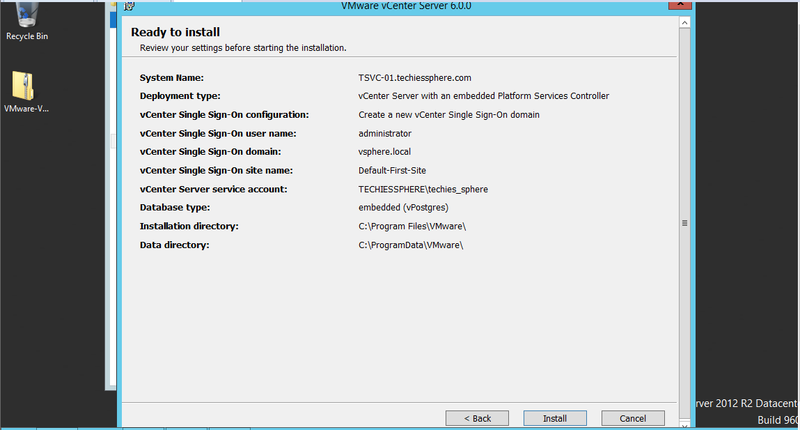 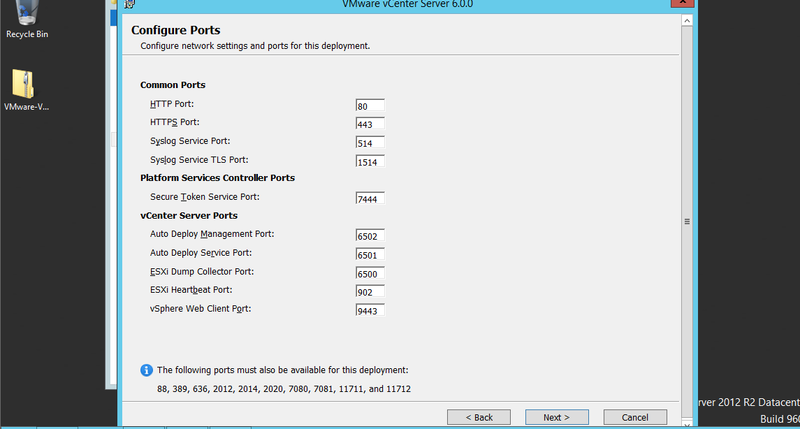 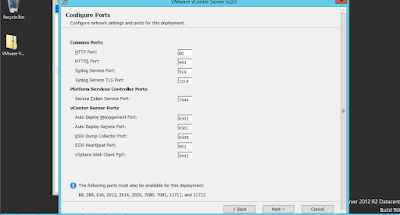 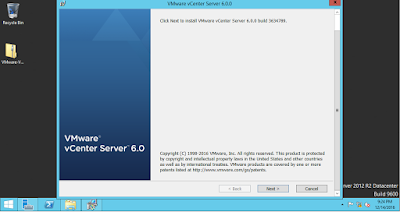 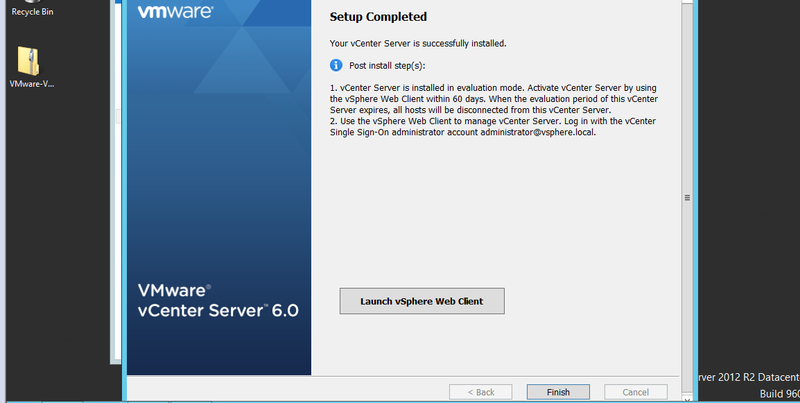 Or, vCenter Server 6.0 installations guide step by step…. 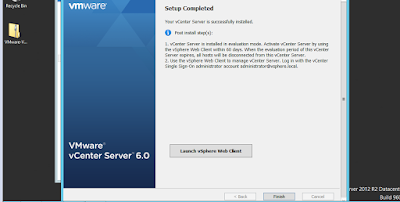 Descriptions: In this article we are going to see, how we can install vCenter Server 6.0 on windows server operating system platform including embedded platform service controller. 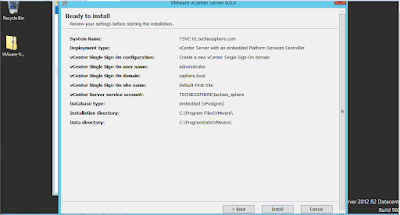 If you have larger infrastructure of Virtual Servers, you can think to have separate platform service controller but if you have 50-100 or 200 VMs approx, its good to go with single vCenter server with inbuilt platform service controller. 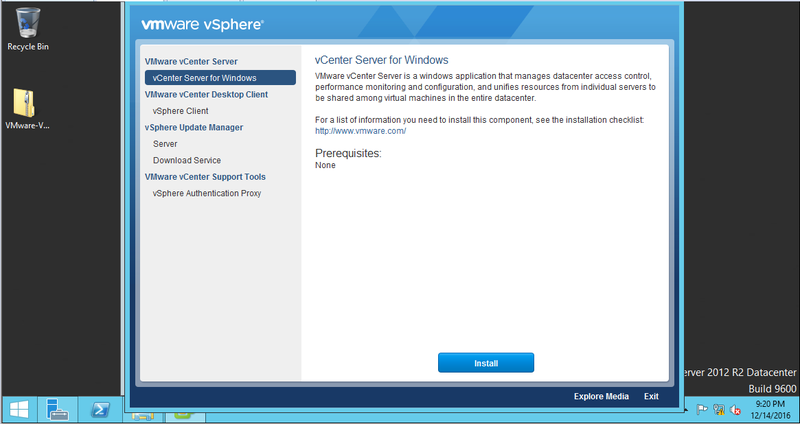 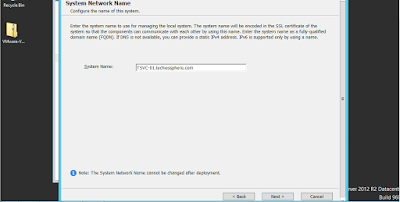 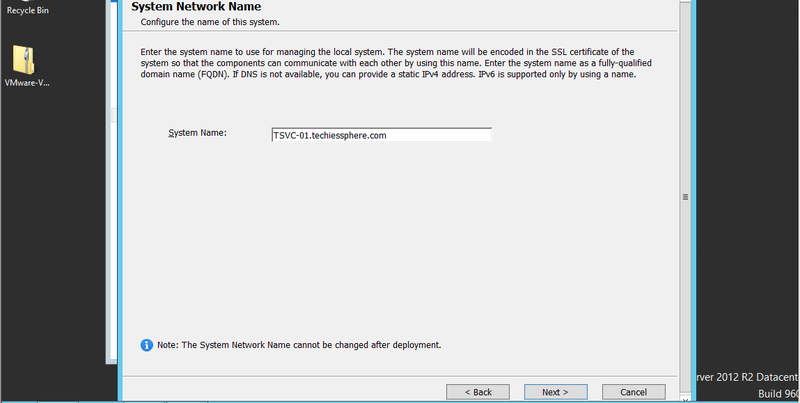 To verify of the installation is done correctly, you can use vSphere client to login to your vCenter Server.. Password: the password you gave while installation of vCenter server. 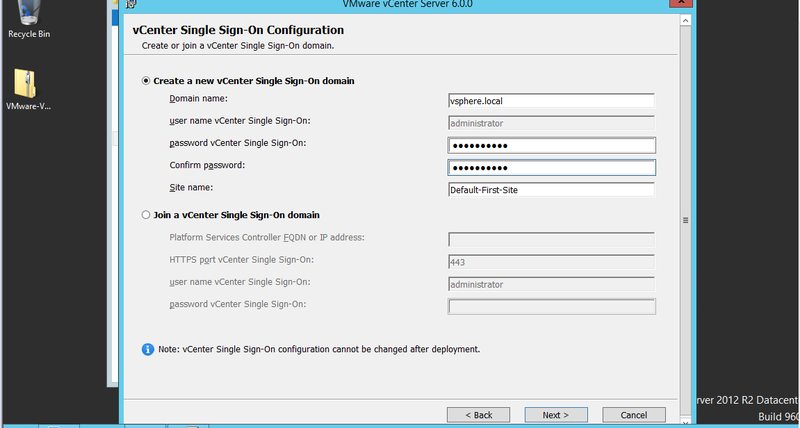 After successful logon, this is how it will look like.. 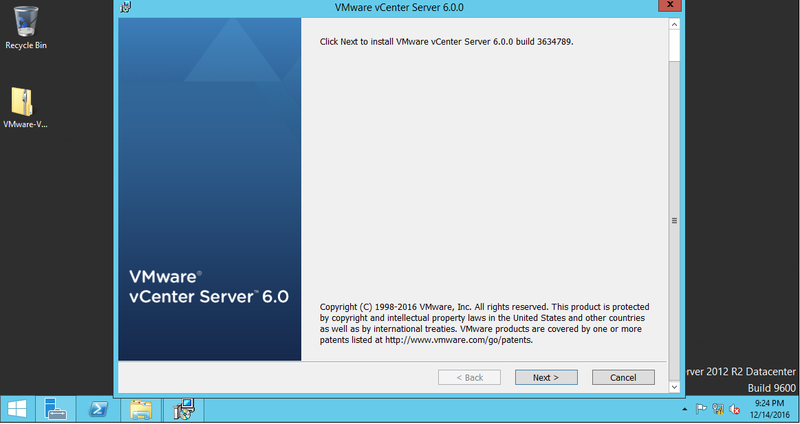 Cheers, have a happy virtualization… Please write me back for any query or feedback….